We offer you the following resources so you can stay up-to-date regarding Dyslexia. We truly believe dyslexic people do have advantages when facing life and this is the purpose we emphasize throughout our below efforts. In our posts, we promote the positive identity, community, and achievement of dyslexic people by focusing on their strengths. Fin articles related to Accommodations, College, Dysgraphia/Writing, Math, Memory, Stealth Dyslexia, Teaching, Technology and more. 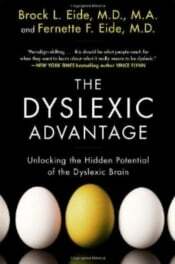 The Dyslexic Advantage Newsletter is mailed monthly and includes the most significant articles published through the month and also additional useful information. Take a look at previews issues!